Snugpak Jungle Sleeping Bag | BUDK.com - Knives & Swords At The Lowest Prices! 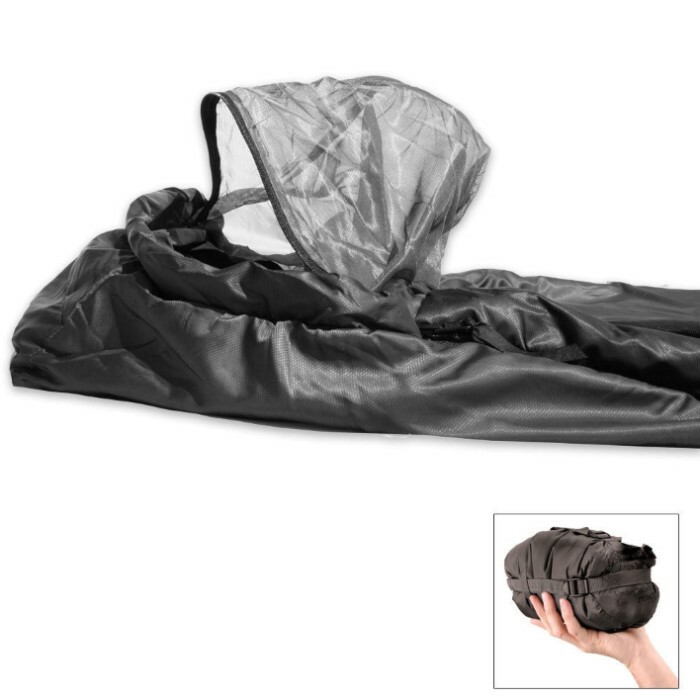 The Proforce Snugpak Jungle sleeping bag is a lightweight adventure travel sleeping bag, with rollaway mosquito net. Another useful feature of this bag is the square bottom and double zip system that allows the bag to be used as a quilt or blanket. Tried & Tested buy the Military All Over the World! Not for the jungle or anywhere in between you sweat to help with the mosquito net zipped up even in cold weather. So ventilation in the hood is poor plus hood falls on the face. Needs a rigid feature so you wont have mosquitos buzzing in ur ear. There is an opening between the meeting of the two main zipping so things can crawl in also this same bag cost me 37 dollars. after a week the zipper for the net cracked in half. This bag makes an amazing blanket but poor execution of a camping item.